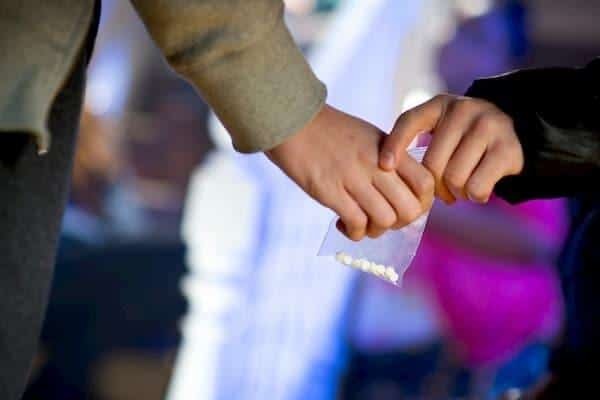 A government report compiled in 2016/17 and released by the Office of National Statistics revealed that 1 in 5 young people in England and Wales has taken illegal drugs. The actual number of people affected was 1.2 million. The most popular drug taken was cannabis, while the second was ecstasy, which saw a particular popularity in young people between the ages of 16 and 19. Cocaine was the most used between young people aged between 20 and 24. Why are so many 15-24 year olds participating in illicit drug use? Other reasons relate to peer pressure. A young person may take drugs to ‘fit in’ with their peer group, to rebel against authority, to take control of their own life, or just to experiment to see what it’s like. If you feel your child or young adult is taking part in illict drug use, there are some things you can do to help. A first step is education and to inform them of the problems associated with drug use. All drugs can have very dangerous effects on the mind and body. They can have a particularly powerful influence on the mind, to the point that rational decision-making and judgement are severely affected. Sensation can also be blocked, as well as the ability to feel pain or discomfort. If there are any underlying health conditions or symptoms, these are masked by the drugs taken. Cognitive function is also slower, meaning that when drugs are taken, carrying out everyday tasks is more difficult, as movement and brain function are impaired. Drugs have also been known to destroy a person’s creativity and sense of happiness, as they give the person a false sense of emotion. – Drug-related information on their phone or personal computer, or text messages/emails from dealers/friends who have given them drugs. – Smells – are they trying to mask a smell (particularly in the case of cannabis?). Do they wear increased amounts of perfume/cologne or deodorant? – Accessories for drug taking such as tix boxes, roll-ups and syringes being found in their room. – Underperforming in school, with a major slip in grades. – A disinterest in other activities/hobbies they used to enjoy. – A change in a circle of friends. – Bruising on the arms or legs that the drug user tries to cover up with clothing, even in hot weather. – Money and/or valuables disappearing or being stolen from you to fund a drug habit. – Weight loss and/or other health changes. If you have noticed these signs in your child or young adult, you should act straightaway and talk to them. Try not to act in an aggressive or angry way – your aim is to discuss with them the reasons why they are taking illicit drugs. Talk to them at a time when they are not distracted or have limits on time and need to be somewhere such as school. Be clear on how you perceive drug taking, and outline some of the negative impacts drug abuse can have on their life and future. Do this in a measured way, without resorting to scare tactics. Listen to what they tell you and try to exercise understanding. It is also worth discussing rehab to help them get back on track. At Ocean Recovery, we can offer rehab programmes for young people who abuse illicit drugs and are aged between 15-24. We try to make the rehab process as smooth and comfortable as possible, involving parents and family members so they can give the patient full emotional support in their journey to recovery. Our retreat is located in Blackpool, with a calming beachside location that is perfect for young people. All patients are treated holistically. We treat the mind, body and soul so your whole being can recover back to full health. We encourage our young in-patients to make the most of health and fitness activities to occupy their mind such as gym activities, yoga and meditation. We offer 24/7 support through a friendly and professional team, and we aim to get to the bottom of the reasons why a young person would turn to drugs, helping them come to terms with their addiction so they can act on it before it destroys their future. A drug addiction can turn an entire family upside-down. If you have approached the subjects of drug use, rehabilitation or therapy with a young loved one and they have responded negatively or defensively towards you, it is worth talking to a counsellor or local GP about the issues you are facing. It is very difficult to admit that your loved one has a drug addiction, and a counsellor will be able to give you the emotional support you need. You can also call us at Ocean Recovery, and we can discuss possible intervention options that can give your child or young adult the help they require in a supportive, controlled environment. Get in touch with us today to see how we can help your 15-24 year old with an illicit drug problem. Posted on Wednesday, March 20th, 2019 at 2:24 pm in Latest News.